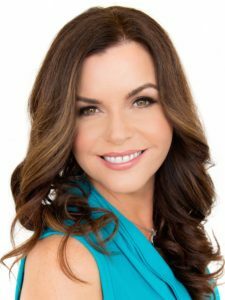 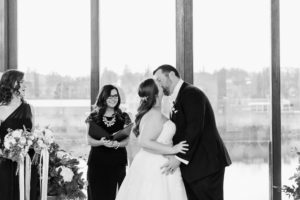 “Since our wedding, so many of our friends and family have told us that our wedding ceremony was the most beautiful ceremony they’ve ever witnessed. 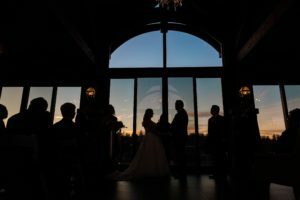 We couldn’t agree more. 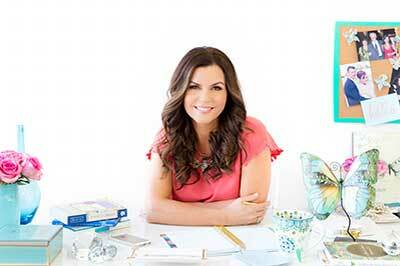 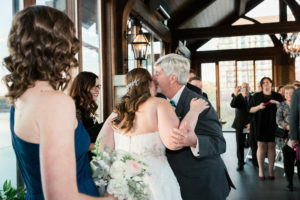 I SO love working with couples who value the ceremony experience on their wedding day. And from our first meeting, I knew that Katherine and Scott were one of those memorable couples – not to mention, they are crazy in love and cute as can be! 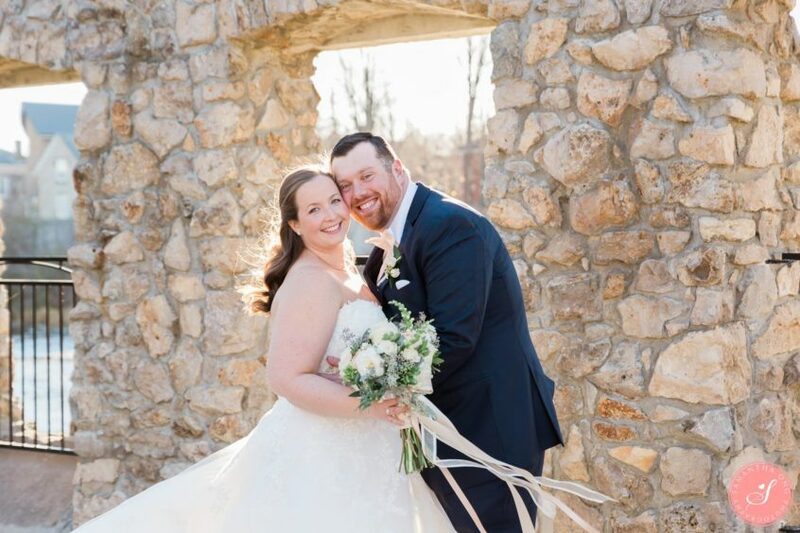 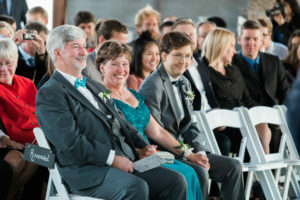 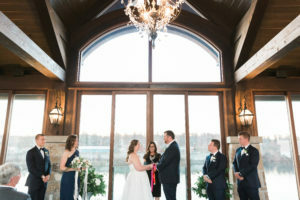 It was important to Scott and Katherine that their wedding ceremony was unique, fresh, and a true reflection of their personalities and relationship, while still including some classic wedding traditions. 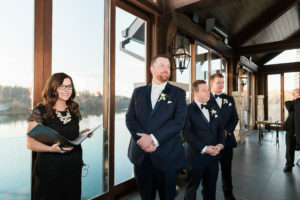 The ceremony took place in a gorgeous glass-encased chapel called “The Pavilion.” With breathtaking views of the Grand River, to add even more to the already incredible ambiance, as the sun set, the sky provided us with a stunning gift of colours. 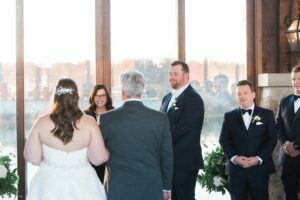 I believe the best ceremonies are ones that guests can be part of rather than just witness and when I met with Katherine and Scott, we discussed ways to make their friends and family feel included. 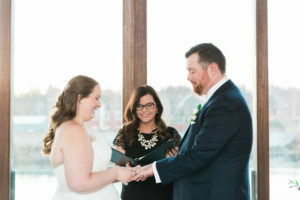 It was important to them that everyone in attendance know how much their love, support and friendship means to them and a ring warming fit the bill perfectly. 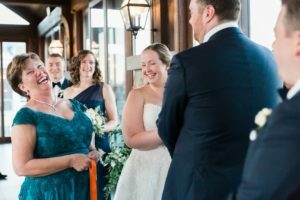 Katherine and Scott’s wedding rings were tied together with ribbon and passed among guests during the ceremony allowing everyone in attendance the opportunity to warm them with their love and best wishes. 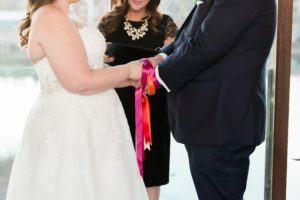 You may have heard the expression “tying the knot” but did you know that the term actually comes from an ancient Celtic tradition called “handfasting” which symbolically joins the husband and wife?